If you spend a lot of time outdoors, sunglasses are a must-have. With that being said, not all sunglasses are made the same. This isn’t just fancy marketing word to get you to make a purchase. This descriptor can give you a better idea of what types of protection a particular pair of sunglasses offers. 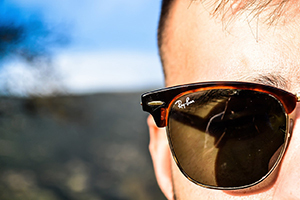 Polarized sunglasses are a unique type of eyewear that offers a different viewing experience than traditional options. 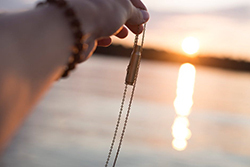 They became a popular option for outdoorsmen that are constantly bombarded by the sun’s rays. Today, polarized sunglasses are everywhere. Many people choose to go with these types of sunglasses over regular tinted options thinking that it’s better for their overall ocular health. In reality, that’s not always true. So what exactly is the difference between polarized sunglasses and your everyday tinted pair? 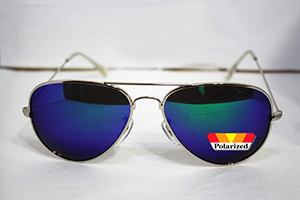 Polarization refers to the way light passes through the lenses. Polarized sunglasses have a unique coating that scatters light as it makes its way to your eye. This coating has been carefully developed and often comes with a higher price tag. Standard tinted sunglasses don’t contain this coating. To get a better understanding of how polarization works, it’s important to understand how the light from the sun behaves. When the sun is beating down on a hot summer day, it travels down to the ground and reacts to whatever it touches. There are a million things that the light can interact with. It can be absorbed, refracted, or reflected. In most cases, we pay no attention to how it reacts. However, light’s interaction with a smooth surface tends to grab our attention. When light hits metal, pavement, or even the water, it reflects back towards your eye in a horizontal fashion. These horizontal light rays can be incredibly uncomfortable and even cause temporary blindness. What you see from these rays is commonly referred to as glare. Glare will affect your vision and make it impossible to see certain objects. While most people believe that glare is only an issue on a bright day, it’s present in virtually any lighting condition. Polarized sunglasses work to combat glare by scattering the light before it reaches your eye. The coating is designed to filter specific light waves. The sunglasses use a type of vertical polarization to cancel out some light and improve your visibility. They can dramatically reduce glare so that you can see clearly even when the horizontal rays are blasting in your direction. When compared to traditional tinted sunglasses, polarized lenses provide a significant improvement in clarity. While tinted glasses are great for blocking out some of the sun’s brightness, it doesn’t do anything to fight off glare. You’ll still have reduced vision even behind dark tinted lenses. Not only that, but the basic tint can make certain details in your surroundings a bit fuzzy even without glare. All they do is dim out your entire field of vision. Tinted sunglasses utilize a basic film or have a dark dye mixed in with the lens material. These treatments are only designed to affect certain types of visible light. Polarized sunglasses can make things a bit clearer. In addition to filtering out glare, they can increase your contrast sensitivity. They’ll help you see past the normal fuzziness by filtering out certain wavelengths. This effect is most apparent when you’re surrounded by glare, such as in the middle of the ocean. With “Polarization” being such a hyped-up buzz word in today’s market, it can be difficult to find a pair that actually has the coating on the lenses. This coating is very thin and hard to detect by just looking at your shades. You should always check to see if your shades are polarized to ensure that you’re getting the effects you want. There are a few different tricks you can perform to make sure. One of the most basic ways to check for polarization is to take a look at the packing material. Some of the more reputable brands will proudly mark their products and include a testing sticker. These stickers are placed directly on the lens and can be used to see how the filters work. Hold the sunglasses up like you’re about to put them on and slowly tilt them 60 degrees to one side. As you move, the sticker should darken. If it doesn’t, they’re not polarized. Two polarized surfaces will cancel each other out at the right angle. Take another pair of the same glasses and position them one behind the other. Look through the first pair and into the second. Slowly tilt the first pair to 60 degrees. With a truly polarized lens, the image through the overlapping sunglasses will darken. This same trick can be performed on a computer screen that has an anti-glare screen. Find a reflective surface like a table or shiny floor. Hold the sunglasses up again like you’re about to put them on. Then, tilt them to that magic 60-degree angle. Pay attention to how the glare appears. If it gets better the more you tilt, the sunglasses have a polarization coating. When it comes to UV protection, polarized sunglasses have no advantage over regular tinted eyewear. This is a common misconception that many people have. Just because a pair of sunglasses is polarized doesn’t mean that you’re getting more protection from UVA and UVB rays. The polarization doesn’t have an effect on the harmful invisible rays. They’re two entirely different things and must be treated as such. 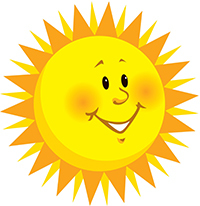 Manufacturers have to apply a separate coating to provide additional UV protection. Many brands offer both forms of protection of their sunglasses, but it’s important that check the label before assuming so. Polarized lenses and tinted shades are virtually the same in this regard. Both aspects are mutually exclusive. The amount of UV protection a pair of sunglasses offers depends entirely on the protective coating that’s applied. It’s a common misconception that darker tints offer more UV protection than lighter alternatives. When it comes to non-polarized tinted shades, the darkness of the lens has virtually no effect on how much UV light goes through. All darker shades do is block more of the visible light that passes through. While this may feel more comfortable on your eyes, for the time being, you will still feel the effects of too much sun exposure. This is because ultraviolet light is completely invisible to the naked eye. It behaves differently than visible light, so it passes through even the darkest shade without any problem. To achieve true UV protection, sunglasses must be coated with a special material that can absorb or reflect the light away from your face. These types of coatings can be applied to both polarized and non-polarized tinted sunglasses. Which is Better: Polarized or Regular Tinted Sunglasses? There’s no single option that best for every situation. While most believe that polarized glasses are the safest bet because they can reduce glare, it’s all about your environment and what you’ll be doing. Polarized sunglasses are ideal when you need to see clearly and are in an environment that has a lot of glare. They can help you see under the surface of the water when you’re fishing and help you keep an eye out on the road when you’re driving. However, they’re not great if you’re in the snow or need to see a computer screen clearly. In both of those situations, the polarizing effect can hinder your vision even more. Most electronic screens use the same anti-glare coating, so you won’t be able to see much through the shades. They’ll make it nearly impossible to discern finer details. When it comes to normal tinted sunglasses, they’re best in situations where you simply want to block visible light. They can keep you comfortable during a stroll in the park or when you’re just running errands outside. It’s when you’re around slick surfaces that you’ll want to make the switch to a polarized pair of spectacles. All in all, both polarized sunglasses and normal tinted shades offer unique benefits. They’re vastly different in terms of what they can do for your vision and should be used interchangeably based on what you’re doing. Polarization is great for clarity while tinted shades are perfect for blocking light. Neither will offer UV protection by themselves. If you want the most protection and versatility available, go with UV-protected shades that combine the best features of both options.